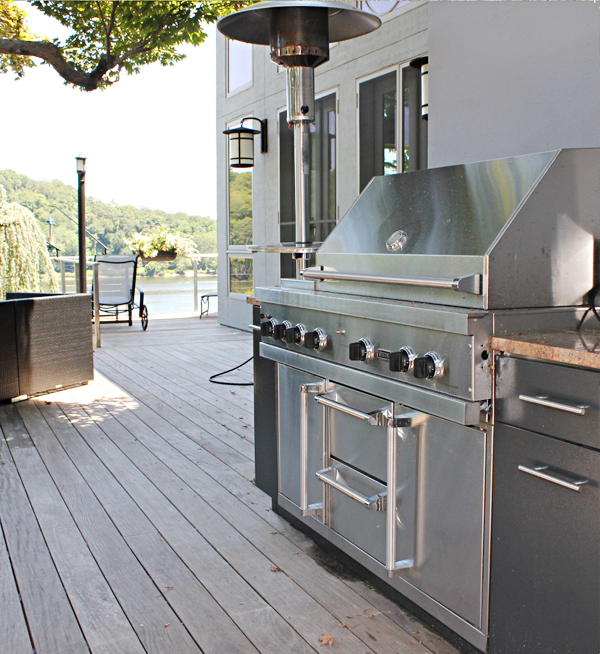 Chester, CT. WITH A PRIME waterfront property, these homeowners wanted to make the most of the views just outside their door, and an outdoor kitchen was the perfect solution. Aside from ensuring the vista was kept in sight, the owners’ goal for the new space was for it to convey a very distinct design style. They wanted an open-flow floor plan, plenty of integrated function, and a good does of Japanese flair in the aesthetic. 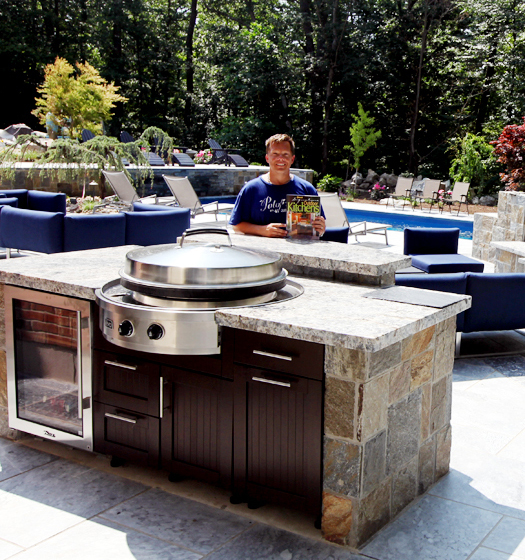 All these elements needed to come together in an exact manner for the discerning homeowners, and Michael Gotowala was the man for the job. As principal designer and president of Preferred Properties Landscaping and Masonry, Gotowala was up for the challenge and had the experience needed to build on the inclined lot. 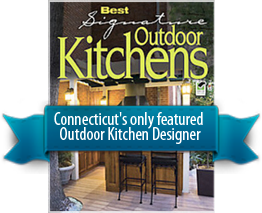 A deck grounds the outdoor kitchen, while made-to-order cabinetry by Danver frames the perimeter. The cabinetry is fully customized and packed full of features. The contemporary style is complemented with a custom slate gray coloring. The long middle stretch of cabinets is sunken 8 inches off the site line to leave wide-open views to the water beyond. These also provide plenty of storage space for the custom pillow-cased furniture. A soapstone sink and Bonsai plant were additional design features added by Gotowala.